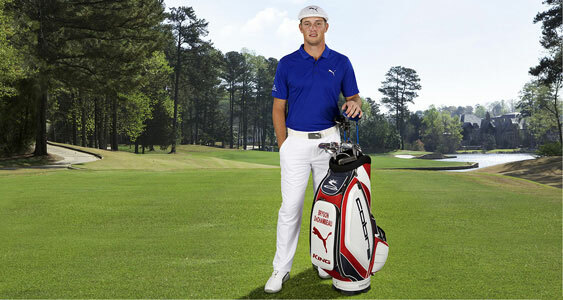 In case, you missed the Masters last week, not sure why anyone would do such a sacrilegious thing, but besides the Azaleas, there was a bit of a buzz about the “new kid on the block” Bryson Dechambeau. Enigmatically already known as the player who has all his irons and wedges the same length at 37.5 inches (6 Iron) and wearing his trademark Hogan cap. This “kid” at 22 has some serious game and is a golfing maverick who does things in his own special way. Needless, you had us at “golfing maverick” and his CV reads very well , so far. 2010 at age 7 wins the California State Junior Championship. 2015 (July) the 1st player from SMU to win the NCAA individual championship. In August wins the U.S. Amateur title. DeChambeau has 6 more sponsors’ exemptions to earn his PGA TOUR card for the 2017 season. With an incredible combination of talent, skill and what seems to be golfing genius. 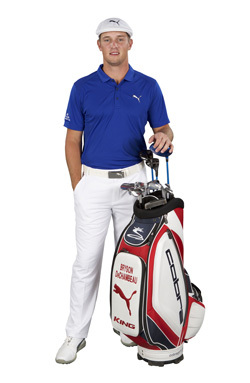 COBRA PUMA Golf has just announced a long-term partnership with Bryson and Robert Philion, President & CEO of COBRA PUMA Golf had this to say. Complementary, cool words from the “Big Gun” at COBRA PUMA GOLF and Bryson added this. Same length, lie and bounce. Only the lofts are different. If you wish to have the Rain Maker review your product or equipment, please email murray@golfweather.com or tweet him @ twitter.com/Muzketeer01..